Safety in every environment is absolutely critical. Whether you work in the office, warehouse or you are positioned to work on site, each aspect of the business has safety criteria that is required to ensure you and your colleagues are protected. So, is your office safe? Take a look around you. Are you feeling ergonomically comfortable? Have you had a break in the last few hours? Are you nourished?These questions may seem simple and irrelevant to safety but they have a large play in office OH&S. Regardless of where you happen to work, keeping an office safe is a multi-faceted affair. 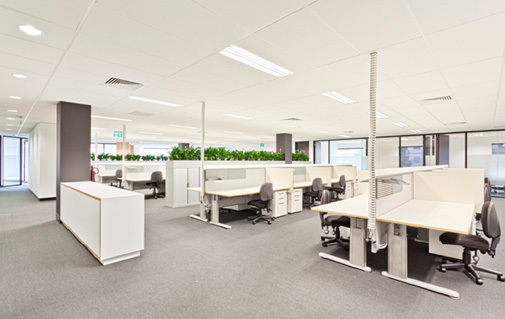 We have listed seven ways to improve the safety and efficiency in your office. Chair Safety: This is the first and foremost area to ensure your office is safe. We see numerous clients sacrificing the chair budget to finance something else in the office. The chair is one of the most critical OH&S factors. Look after your staff’ well-being by implementing proper fully ergonomic chairs. Not only will you see ananswer in correct ergonomics but you will experience increased productivity. As a result, we offer a free 7 day trial of our office chairs. Mental Safety: Allow time for breaks. The mental-strain of working for eight or more hours can take its toll on workers’ health. A suitable breakout area with a workplace culture that encourages staff to mentally rest is desired, and remember, the cost to setup a breakout area will be greatly outweighed by the increased staff motivation and productivity. Clean surroundings: Not only will disorderly surroundings lead to a rather frustrating experience for everybody, it also attitudes the potential to be dangerous in certain circumstances. Storage space planning can be done to implement the correct number of storage units to relieve this pressure. Building Code Safety: Correct office space planning is critical to ensure the correct walkway measurements are provided whilst keeping the exits unobstructed in case of an emergency. An office test to ensure your exit and emergency lighting, fire extinguishers and evacuation plan is up to date is vital. Fire Safety: Obviously you can't entirely fireproof your workplace and make it impossible for a fire to occur, but you can reduce the hazard and protect important documents and electronic devices that would be irreplaceable if lost. To keep your documents safe, Fireproof filing cabinets and other fire resistant storage options can help keep your important documents safe. A full electrical check is also recommended to ensure the power points are correctly functioning. Emergency Safety: An exigency plan or a plan for emergencies is an important way to keep your office safe. Regular meetings and fire drills are also required to keep the staff informed of what to do in an emergency. Security Safety: Security cameras and swipe pass access cards are a great way to minimise the threat of violence and theft. 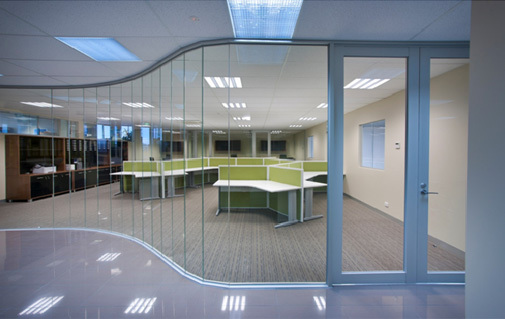 The entrance of the office can be designed in a way to reduce unwanted traffic into an office by having a phone entry point or separating the reception from the main body of the office.